"Monique, how should I structure my wedding day and plan our timeline?" I get this question from every single once of my brides. It can be stressful to think about where to allot your hours of photography coverage, so I'm here to help! But first and foremost, you're the boss and you can create whatever kind of day your heart desires. 1. Is our day traditional, an elopement or intimate with just a few friends and family? You'll likely need more photography coverage for a traditional day and thus will require a strong, organized timeline plan. Consider events like your bridal/groom prep, wedding party portraits, first look, couple portraits, ceremony, formal family photos, reception, cake cutting and first dance. However, if you're eloping the day becomes more of an extended portrait session, much more relaxed. Intimate ceremonies lie somewhere in the middle of traditional and elopement timeline planning. 2. 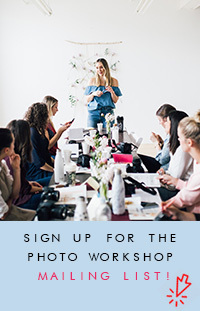 What photos are most important to me (bridal/groom prep vs. party images)? Some couples care so much more about the special time spent preparing for their wedding day with their loved ones before the ceremony, and others want more photos of their friends and family knocking back shots of fireball whiskey and getting loose on the D-floor. Here is a FREE PDF template of a wedding day timeline. I hope this helps you plan your day and please let me know if you have any questions or comments, I'd be happy to update this post with more information!